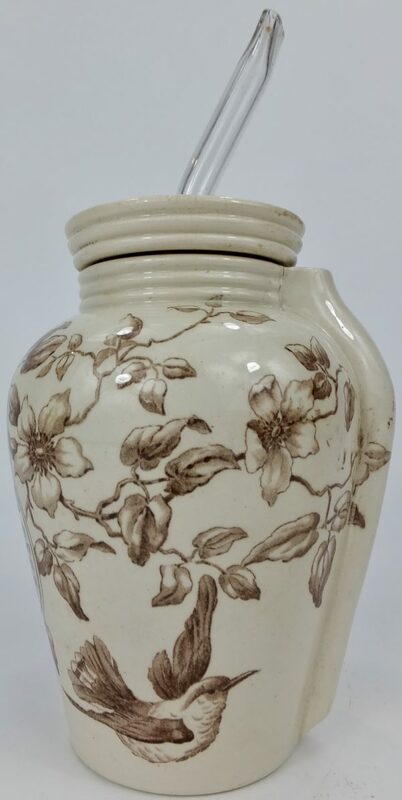 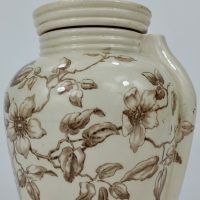 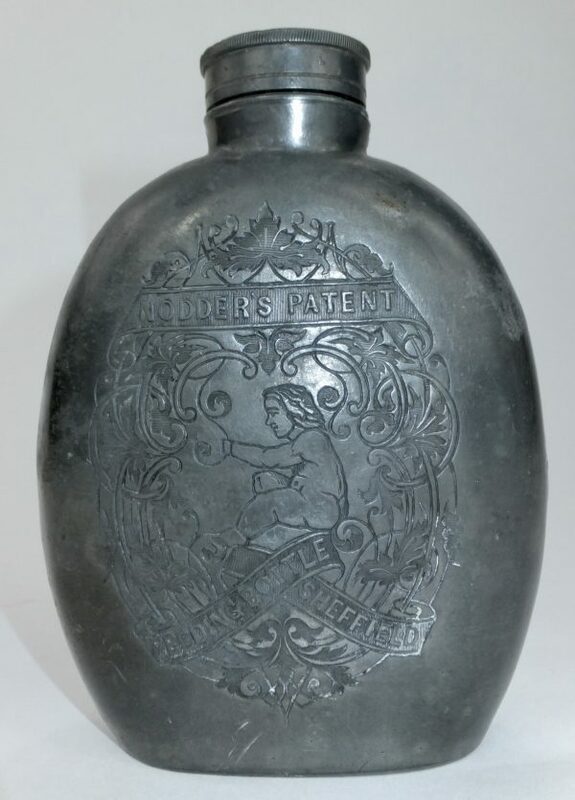 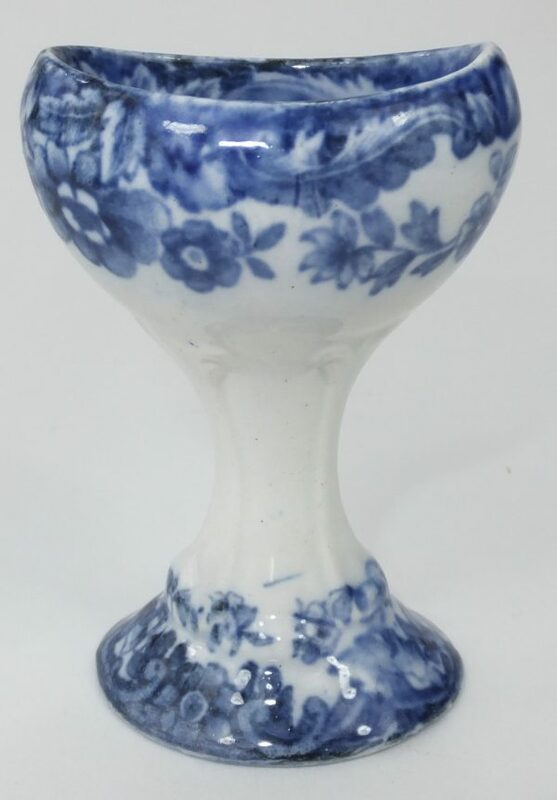 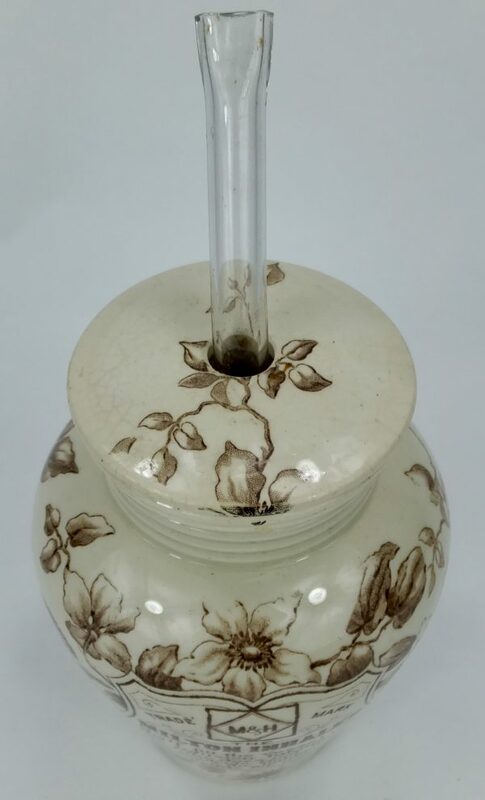 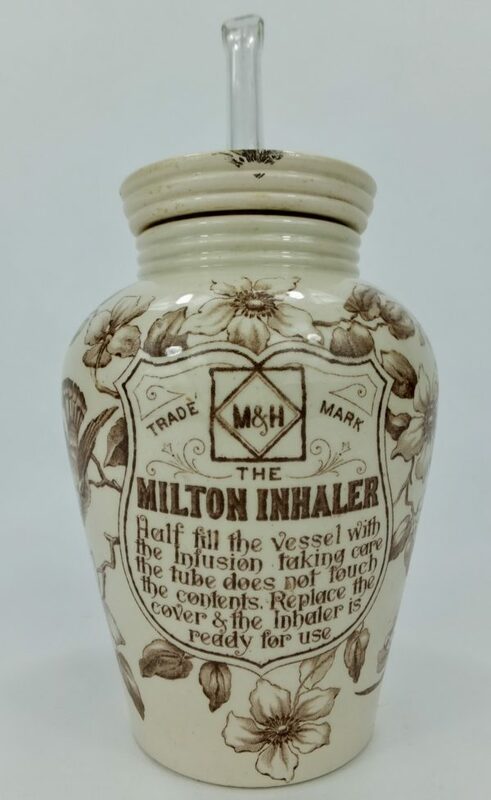 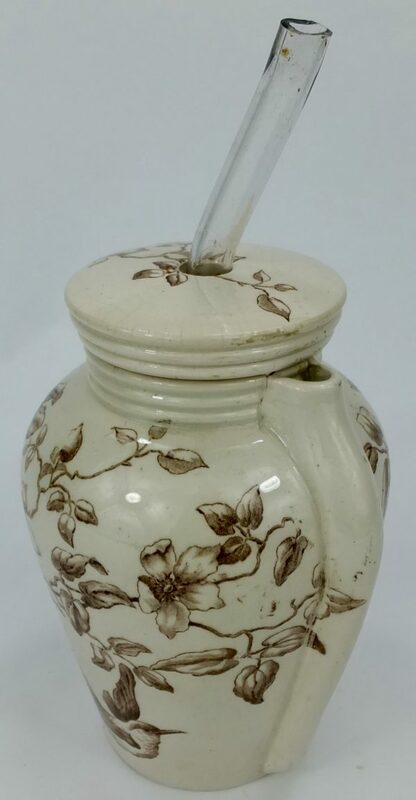 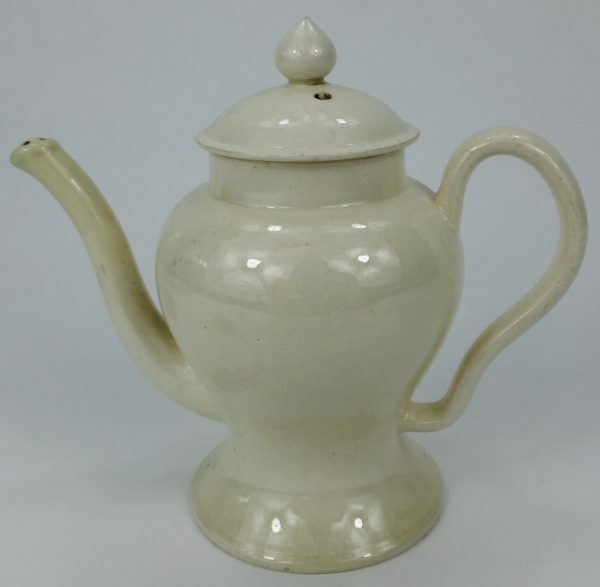 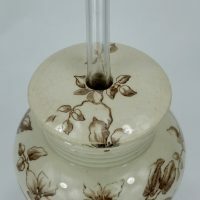 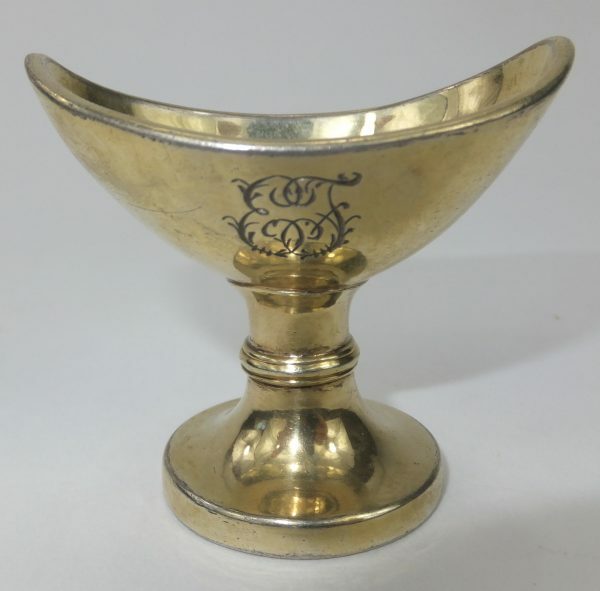 During the late Victorian/early Edwardian period highly decorative pottery jar inhalers were produced for ailments such as bronchitis and other chest complains. 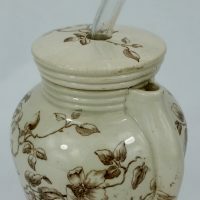 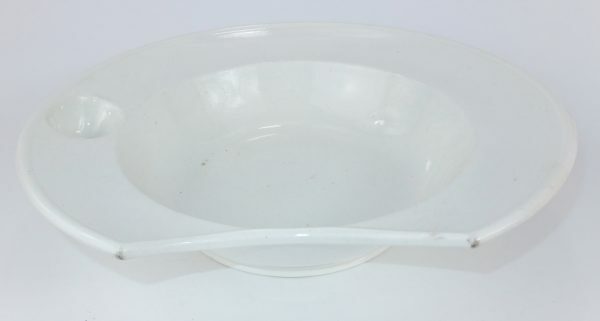 Many different types were made for different regions of the UK generally connected to pharmacies who marketed them in exotic names such as The Perfect, The Oxford, The Bournemouth and Alexandra to name but a few. 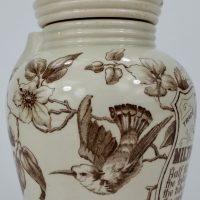 The most highly prized are the jars with exotic birds and butterflies and this one known as the Milton is transfer printed with two birds. 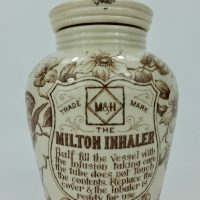 The company known as Milton who formed in 1916 is not connected with this jar as it predates it and is C1890/1900.